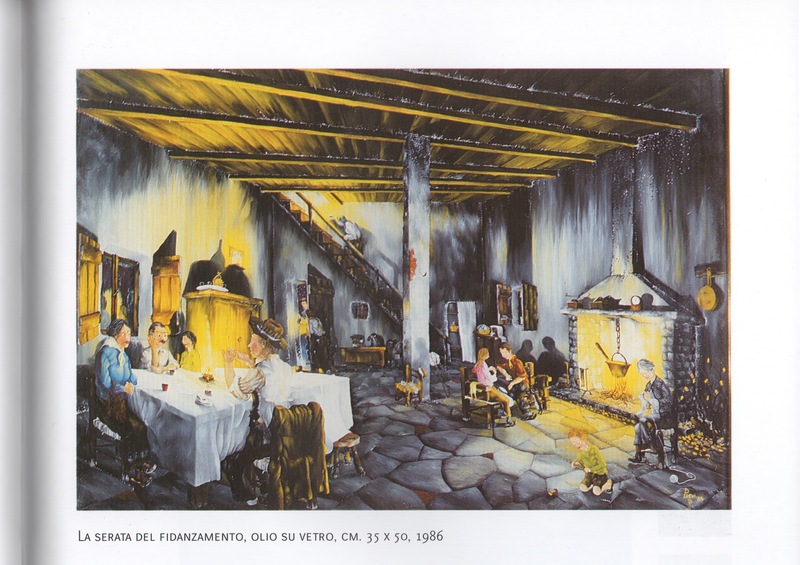 The following is taken from Mario Previ's description of the painting. The promise of a life together had to be communicated to the respective families, also the date of the future wedding had to be decided. I have represented the evening on which the families meet to get to know each other. To one side, the young couple are experiencing the joys of the moment, however they are constantly checked by the oldest woman of the family who keeps her eyes low to assure the couple do not fall into excessive, effusive gestures. On the left two are talking about family matters, the dowry, the future, and also family financial matters. move on by selecting a new section from the Menu on the left.